The EU has provided ships, training and funding to the Libyan coastguard. But Amnesty says the coastguard is working with criminal gangs and people smugglers who are guilty of a range of abuses, with the knowledge of EU officials. It alleges that the drive to stem migration has resulted in "mass, arbitrary and indefinite detention" of refugees and migrants. 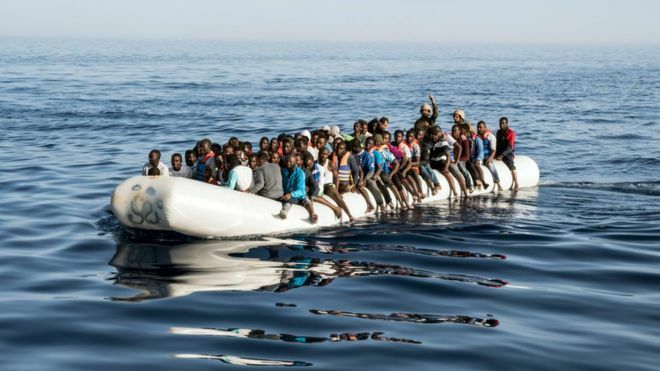 Refugees and migrants intercepted by the Libyan Coast Guard are sent to detention centres run by Libya's general directorate for combating illegal migration (DCIM). Amnesty said about 20,000 people were currently detained at these centres, and it had testimony showing detainees were subject to "torture, forced labour, extortion, and unlawful killings" at the hands of authorities, traffickers, and militias.